exposarazzi: When celebs have something to promote, they sure can play the disease/disorder/dysfunction card! When celebs have something to promote, they sure can play the disease/disorder/dysfunction card! 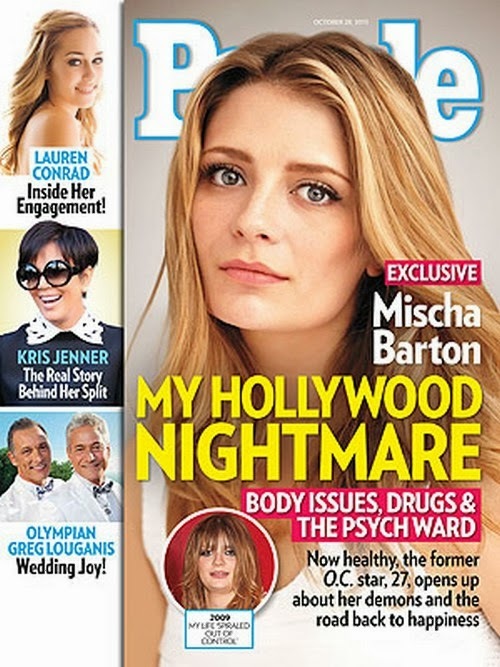 Case in point, Mischa Barton has clawed her way out of obscurity to land the cover of People magazine. Seems she shared a padded room with LeAnn Rimes at one point. What a coincidence that she has a new project she wants to plug, whodathunk?